Staying fit and exercising regularly is a great way to maintain our good health, physical as well as mental. In order to have good results and enjoy exercising, it’s important to make our fitness routine interesting, but also efficient. Here are six tips on how to improve your fitness routine and create good habits to really make your workout count. First, you need to make a schedule and plan exactly when you can fit the gym into your daily commitments. Pick the time of the day when you’re off work and be consistent, since staying on schedule is a great habit to form. After that, make a workout plan, so that you don’t waste your time walking from one exercise machine to another, indecisive of which one to use first or which one to use at all. Learn which one can help you with each of your muscle groups, so that you can work out with a purpose. And once you make that plan, stick to it for at least one month in order to get into the habit of exercising. If you’re a beginner or it’s been a while since you last worked out, setting goals that are too high may overwhelm and discourage you once you can’t reach them. So, start with smaller goals and slowly move to bigger ones. However small your goals are, once you reach them, you’ll feel motivated, and motivation will push you to do more challenging exercises. Make your goals time-bound, and if a year seems too long, set daily goals first, then weekly and monthly, and not just in your head, but put them on paper and tick them once they’re achieved, so that you can monitor your own progress. To get rid of excuses like having nothing to wear, you need to have your gear ready at all times. This means you should get several combinations of gym clothes, so that you really do have something to wear if some of the clothes are in the laundry. And while it’s important that you like how your gym clothes look, they also need to be comfortable and of high quality. This way, you will avoid any injuries and boost your performance, whatever your exercise routine is. Don’t hesitate to spend some extra money on proper equipment. For example, Ryderwear gear allows you to exercise safely while being in style. Having self-esteem is a wonderful thing, but there’s a very thin line between self-esteem and arrogance. So, never be arrogant enough to believe you know best and you don’t need anybody telling you what to do. That’s what fitness coaches and trainers are there for, to assess your needs and abilities and tell you what to start with and where to go from there. Inform them of your goals and ask for the best way of achieving them. It might even be a good idea to invest in a supervised training session or two, just so you can learn how to do your exercises in a safest and most efficient way possible. In order to make your routine diverse and interesting, skip gym from time to time in favor of being outside, in the fresh air. 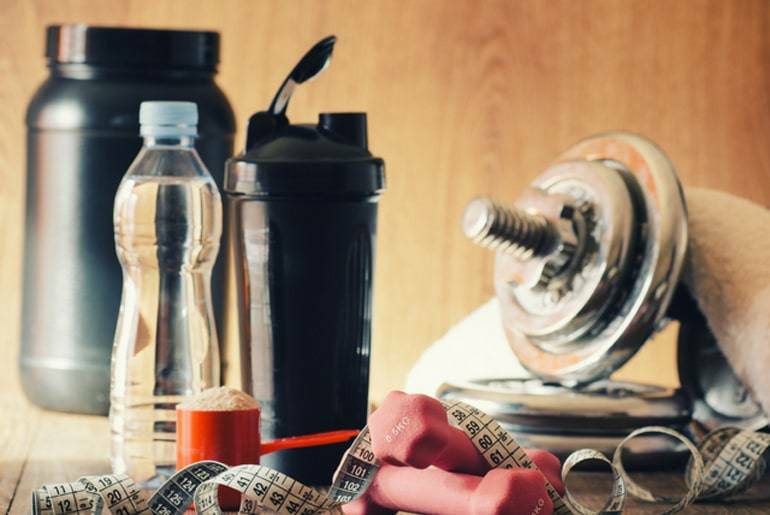 No, this doesn’t mean you should skip your workout all together, but rather to change it from time to time, to spice things up a little and prevent yourself from getting bored. Instead of hitting the gym every day, do it three or four times a week, and spend the other days jogging, hiking or cycling. Another option is to take dance lessons or practice yoga a few times a week, combining it with your already existing fitness routine. It will still keep you fit and active, but you’ll probably enjoy it more. As far as motivation goes, nothing can be as motivating as another person. So, find an exercise partner and it will make it much less likely for you to quit or skip your gym sessions. Knowing that somebody is waiting for you, depending and counting on you will provide you with the much-needed initiative. Plus, if you’re competitive, having somebody to compete with will drive you and force you to move even when you don’t feel like it. Creating any routine means creating good habits, so stay determined and never forget, it’s your own health and well-being you’re doing it for.